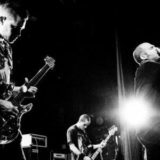 Colorado’s supreme doom metal quartet, Khemmis, has confirmed a series of tour dates preceding and including the band’s impending performance at the mighty maiden installation of Migration Fest this August. Additionally, the band enters the studio today in order to bring their second album to fruition. Khemmis is currently settling in at Flatline Audio in their hometown of Denver with Dave Otero (Cobalt, Cephalic Carnage, Cattle Decapitation), for an extensive recording session in order to capture their anxiously-awaited new album, the follow-up to their acclaimed 2015 debut LP, Absolution. 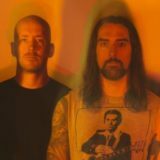 Following the studio venture, the completed album will be finalized in June and fitted with artwork currently under construction by Sam Turner (3 Inches of Blood, Black Breath, TRVE Brewing) for release in late Summer or early Fall again through 20 Buck Spin, as with their Absolution LP, also created with the winning combo of Turner and Otero’s handiwork. 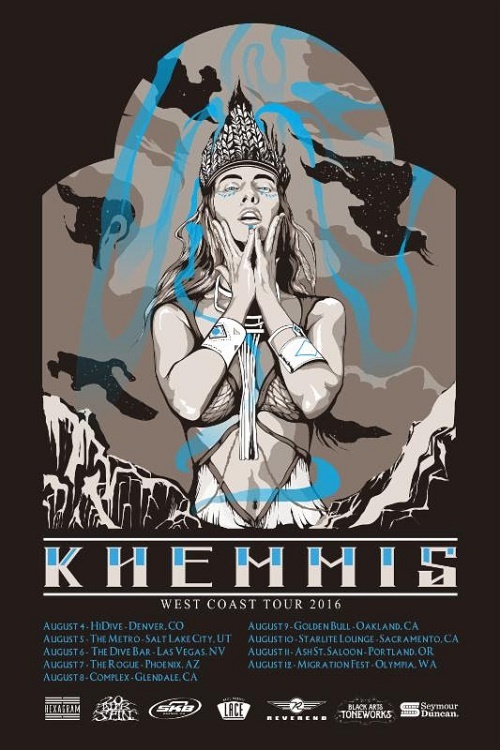 Khemmis’ upcoming West Coast tour will begin in their hometown of Denver on August 4th, with Salt Lake City, Las Vegas, Phoenix, Glendale, Oakland, Sacramento, and Portland on the itinerary leading up to the band’s performance on August 12th at Migration Fest in Olympia. The festival also features the slated first live collaborative performance by The Body & Krieg, the first live public performance by Panopticon, a set by Australian funeral doom behemoths Mournful Congregation, and sets by Auroch, Christian Mistress, Full Of Hell, Krallice, Magic Circle, Nightfell, Obsequiae, Vastum, Vhol, and others. The tour routing and a beautiful poster by Cameron Hinojosa have been issued.